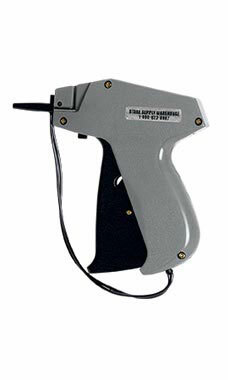 The gray and black classic SSW Regular Tagging Gun has been a staple in our inventory since the company started. The lightweight and simple design makes it the obvious choice for your tagging needs. The smooth action of the tagging gun lets you breeze through you toughest tagging tasks without fatigue. The all-steel needle that comes with the gun has a blade built into the needle for a smooth fastener cut each time.